Petite faim …, originally uploaded by dmviews. The cream gene is probably the most common and familiar dilution. 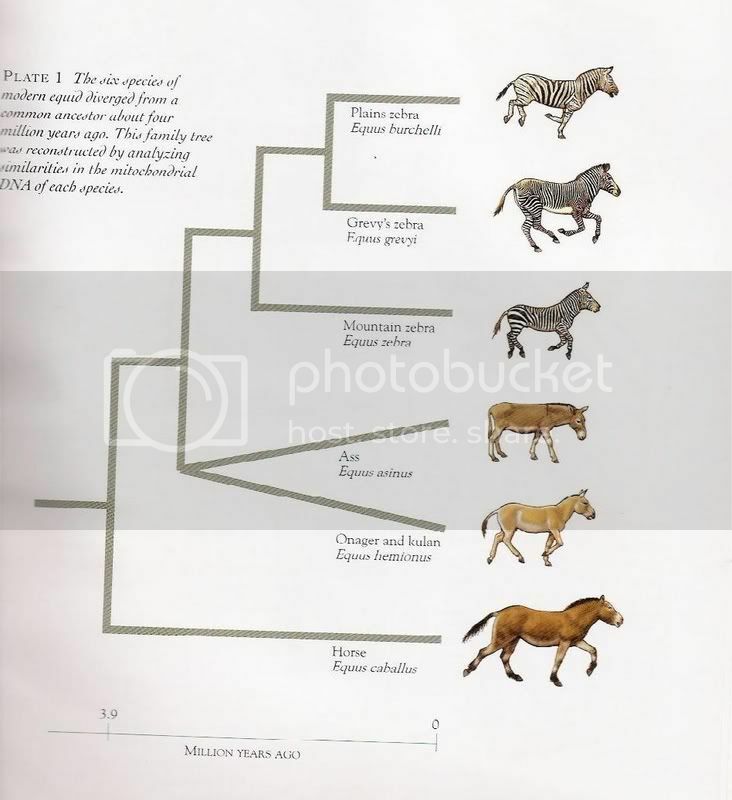 It is an incomplete dominant, which means a) since it is dominant, a horse must get a cream gene from a parents; it doesn’t skip or hide and b) it is expressed differently in its heterozygous and homozygous forms. In other words, a horse with one cream gene looks quite different from a horse with two. A buckskin is a black horse with agouti (to “pull” the black to the edges of the horse) and one cream gene: in other words, a diluted bay. The points on a buckskin will stay black because cream has little visible effect on black pigment in its heterozygous form. Thus, that pretty TWH stallion above is really a black horse with some side dishes thrown in. “Buckskin” and “dun” are often used interchangeably (QH people, you are especially bad for this!) which is misleading: buckskin and dun are the result of two different genes, and they look very different once you know what to look for. A smoky black is a black horse with one cream gene. They may look the same as any black horse, or they may be a very dark liver or red, or a faded black. It’s difficult to know if you have a smoky black unless it has a double dilute parent (more on that in a moment) or is tested for the cream factor. Cream dilute foals are usually born with blue eyes which darken with age, so if you have a foal with one or more cream dilute parents, and it’s born looking black with blue eyes, then you probably have a smoky in your barn. As I mentioned, the cream gene expresses differently when it is homozygous (the horse has two copies of the gene). That beautiful blue-eyed horse at the top is a double dilute, most likely cremello. Double dilutes have blue eyes, pink skin, and very pale coats, ranging from white to dark cream. Such horses will always throw one copy of the cream gene to their offspring. A cremello is the result of two cream genes on a red base; a perlino, on a bay base; a smoky cream (or creme), on a black base. Perlinos often have a slight reddish, peachy or orange cast to their lower legs, mane and tail, while smoky creams can sometimes be slightly darker than cremellos. Unless you know the exact genetic status of the parents, it can be difficult to tell what the base coat is. The AQHA used to deny registration to double dilutes, so those horses went into the APHA instead. This rule was overturned in 2003. The AMHA implemented a “white rule” in the 1960s; this was later rescinded, and there are now over 100 double dilute registered Morgans. These registries and others wanted to bar double dilutes because of a lack of understanding of how colour genes work; double dilutes were thought to be the result of outside blood, or albinos. There is no albinism in horses. The cream gene is not present in all breeds: Arabs, Friesians, Haflingers and drafts (except the American Cream Draft) lack it, for instance. (Obviously this is not a complete list!) There’s some evidence of it existing in the Canadian Horse gene pool, a breed which is normally as dark as the Morgan. Did you know it exists in Thoroughbreds?! OK, I’m still following you, so that’s good but I’d never heard of a smoky cream before. I’m sure before you’re done there will be others I’ve never heard of. oh my, the first picture is stunning, what a gorgeous horse! These are beautiful colors on any breed of horse! Interesting post. i’m not a horse owner yet, but i love a buckskin horse especially ben cawright horse on bananza. i’m a huge western fan. I have a beautiful golden palomino stallion that I would like to breed. I do not know the origin of his parents. How can I tell if he has the single or double cream gene. 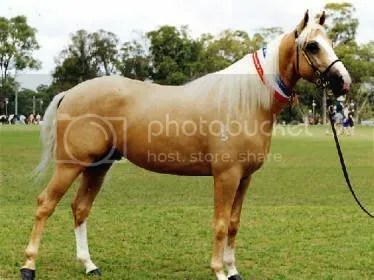 And what would be the best colour mare to breed him with to try and achieve the golden palomino colour? 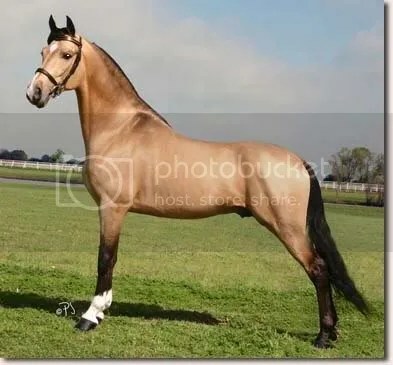 If he’s a palomino, then he has one cream gene; if he had two, he would be cream-coloured like the horse in the first picture. If you breed him to a chestnut, you have a 50% chance of palomino, 50% chestnut. You’d have the best luck breeding him to a mare with a red-based colour like chestnut or red dun.